There’s a lot of discrimination and bad feelings about ebooks that are published by independent authors, saying that they are low quality and poorly formatted. I take umbrage at that myself, seeing as I’m meticulous in my editing and formatting. But every now and then I come across an ebook that just proves the critics right. It’s depressing really. I’m not sure if it’s just someone being lazy or simply not caring, but take a look at what I was reading this week. 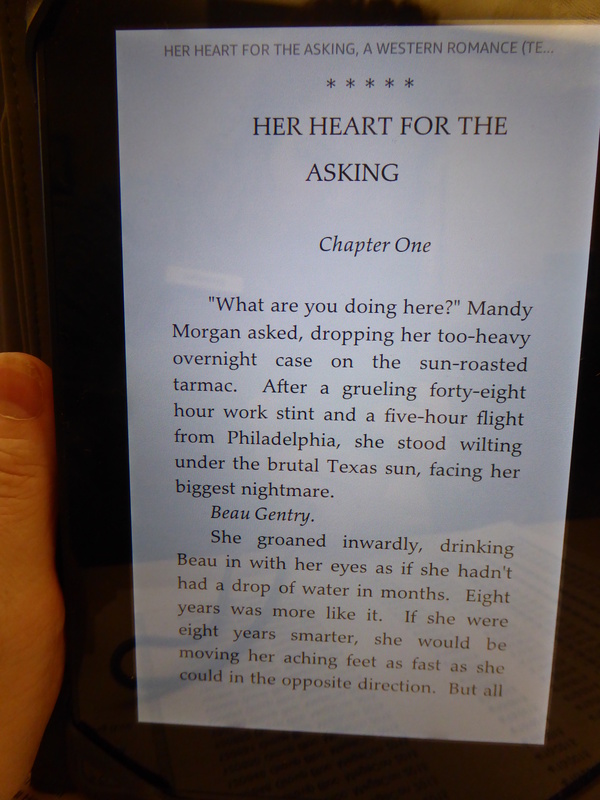 In the photo of my kindle below, you can see that the title has two lines. One line is centered across the width of the page, the other line is centered across the page with an indent, making them unevenly centered. The “Chapter One” is also centered with the indent, not across the page, so the whole thing looks off kilter. I’m not even going to get upset about the fact that traditionally fictional stories don’t have an indent on the first paragraph. Had they stuck to this rule, they probably would have avoided this issue. What’s wrong with picture number two? Well, they have three hatchtags off to the left of the page. I’m pretty sure they are meant to be a divider between chapters, but I’m not going to bet my life on that one. 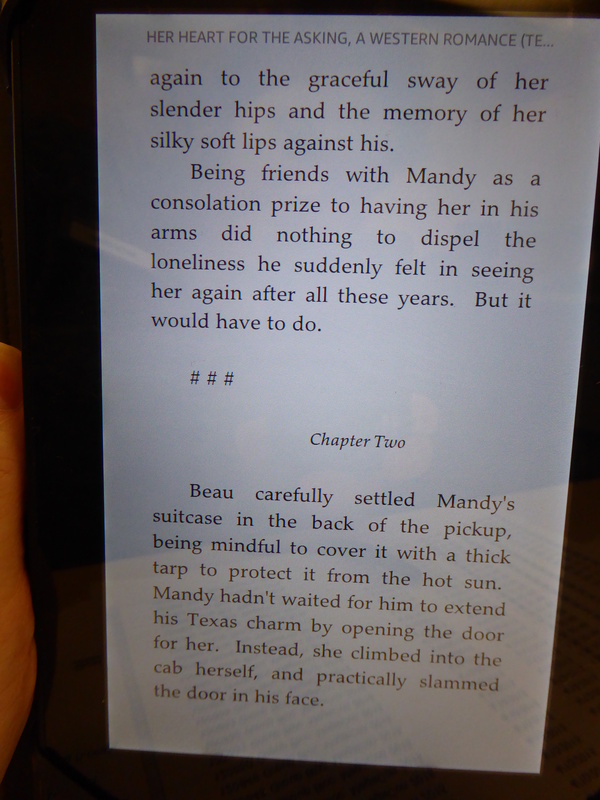 Again, “Chapter Two” is centered with a margin instead of across the page. Plus, why not just have a page break? Had she inserted a page break between chapters, it wouldn’t look so odd and we could have left off the strange hatchtags. By the way, all the new chapters look this way. Like I said, despite all this, I really liked this story. It’s just unfortunate that the bad formatting and numerous typos and oddities that should have been caught in the editing process weren’t fixed. They detract from a really well crafted story line and well developed characters. I’m not saying I’m perfect by any means! I certainly have had a typo or two in my books. I’m grateful when someone points them out to me. When I get them, I enter them in my master copy and update the book on Amazon. However, my books are generally about 200,000 words long, about three or four times longer than your typical romance ebook. If your book is only about 30-60,000 words, I have a lot less patience for the kind of mistakes I found in the book I’ve mentioned above. 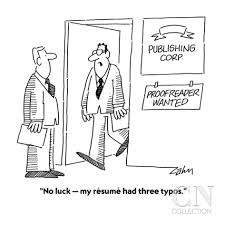 So have ever come across any frustrating typos and formatting errors in ebooks you’ve read?